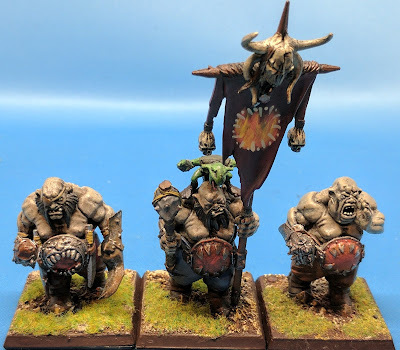 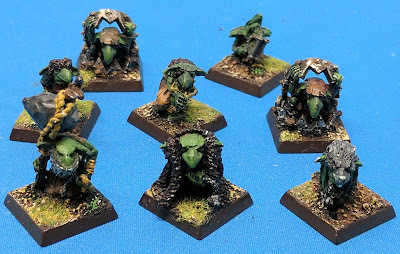 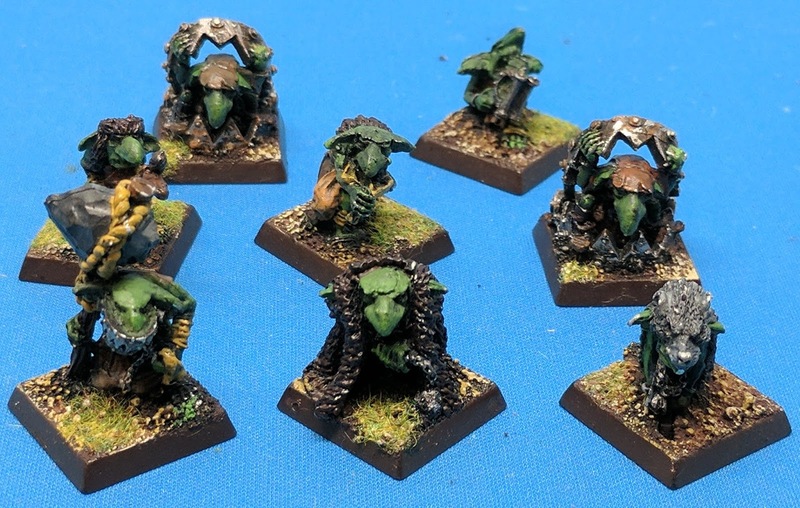 I had been playing my all goblin army for a while, and then saw the brand new army coming out from GW. Big, fat, baby eating monsters - at last I could build an army that could actually hit something in combat! 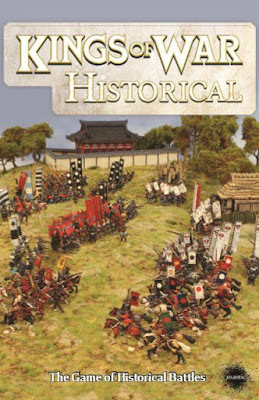 Yeah, at least with the first edition I was so wrong about THAT one! 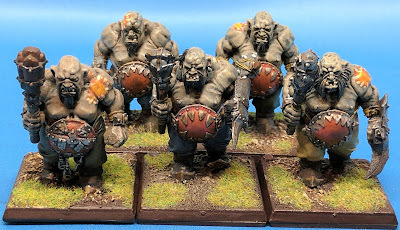 Nevertheless, I picked up a Ogre Kingdoms Army Box right after Christmas, and actually had a 2000 pt painted army ready for the Siege at the Tower in late January. 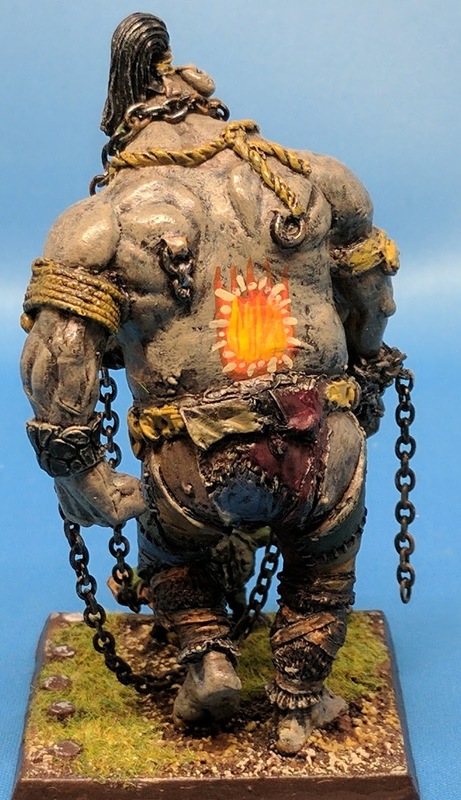 No strong, funny themes - what unified this army was the tattoos - every ogre had a tattoo of the Great Maw with fire behind it. 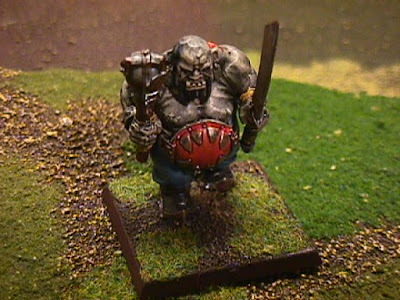 The idea was the warlord had been out adventuring as a mercenary, and like all Ogres, ate just about everything in sight. 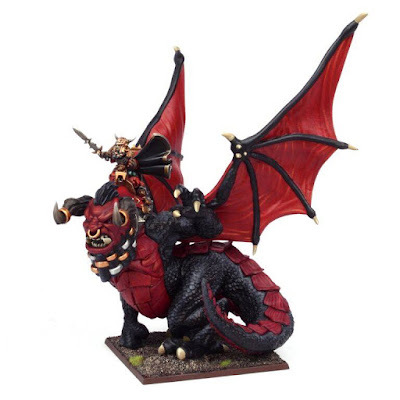 In the far lands of Cathay he discovered the ghost peppers and fell in love with hot (very hot) spicy food. When her returned to the Mountains of Mourn to found his own tribe, he drew others near him with similar palettes, and went in search of the hottest foods they could find in the olde world. I hadn't done a non-themed army since the very first army I built, vampire counts, back when I started playing Warhammer. 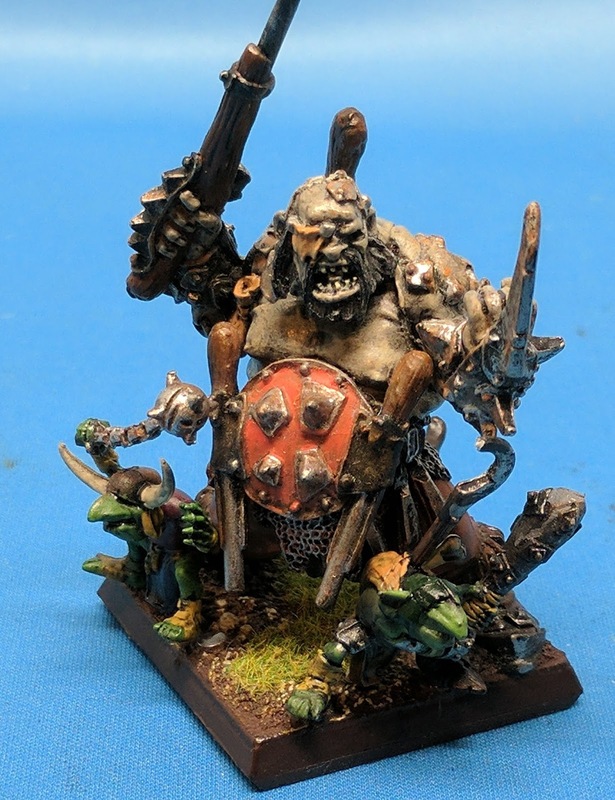 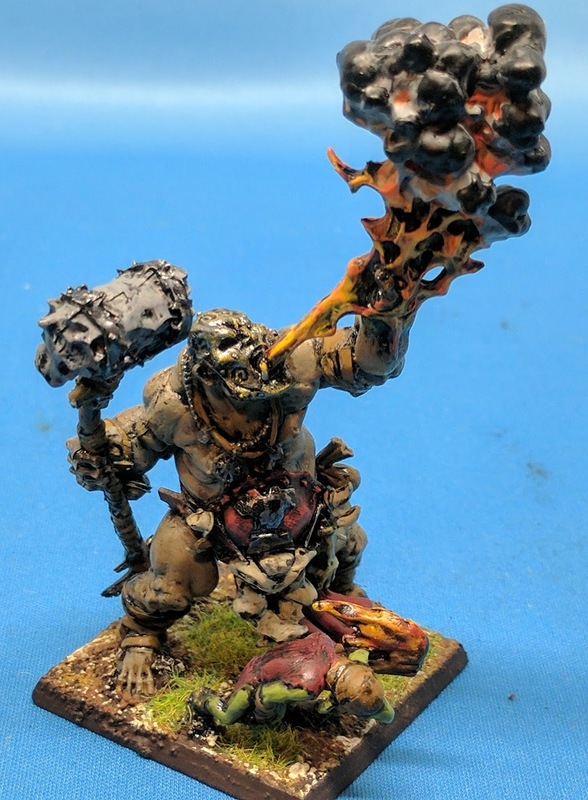 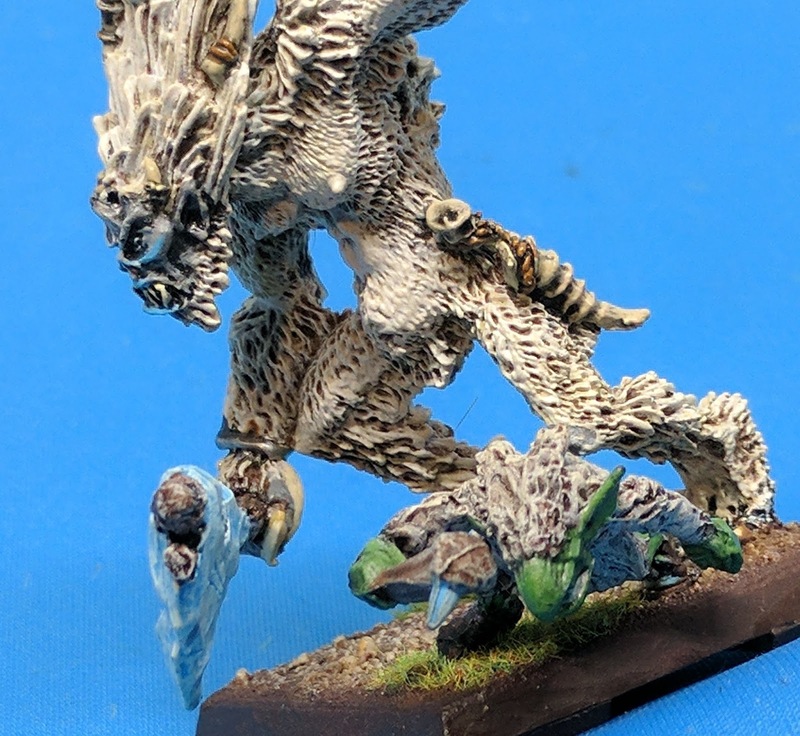 And while I have since seen many cool themed ogre armies, I never could think of one beyond this. 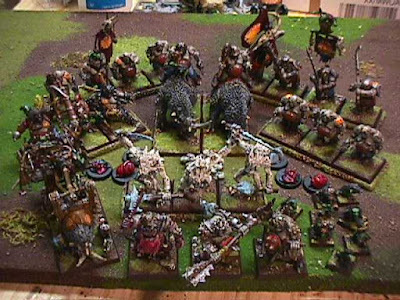 Magnets were a huge part of this army. Nearly every model had multiple wounds to track, and I'd already found the easiest way to do this was with skulls glued to magnets, them matching magnets on the bases of the models. 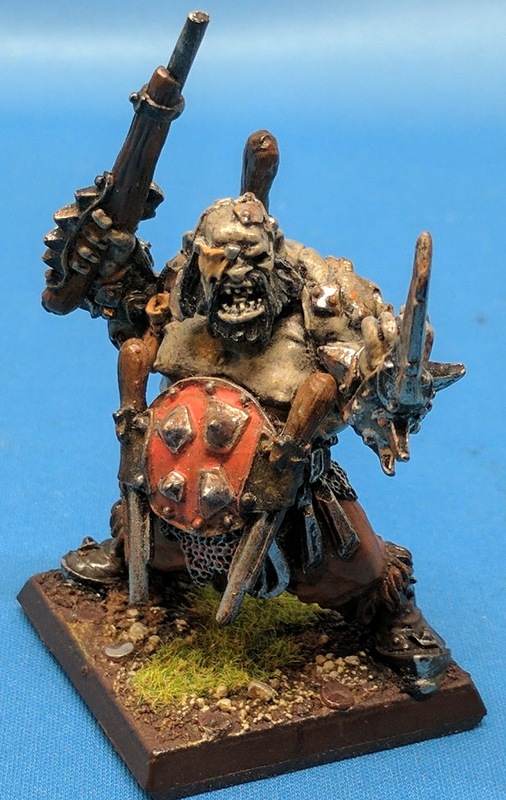 The core of the army was ogres - originally known as Bulls. Nice plastic kits. Bulls had the option to have a single hand weapon, two hand weapons, or a hand weapon and iron fist (kind of a shield/weapon). 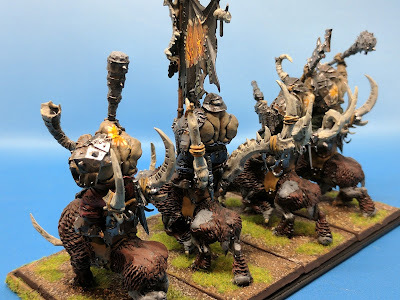 The arms were large enough to make magnetizing these easy, so all my bulls had magnetic arms/hands to switch out the options. 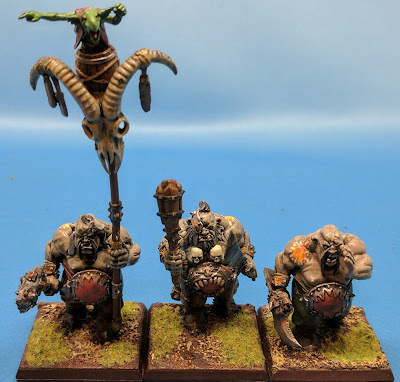 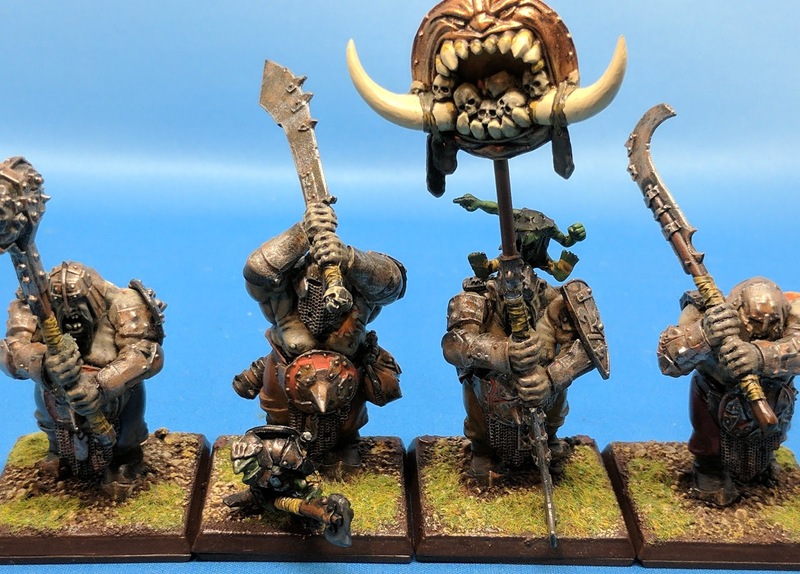 I eventually made 11 plain ogres - two sets of full command plus another five. 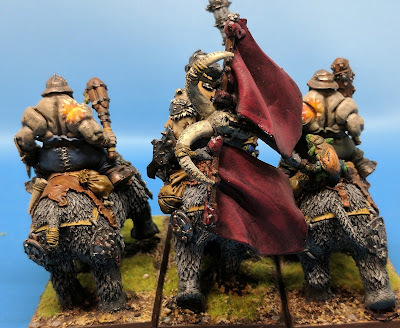 One of the options that standard bearers could take was a 'lookout' gnoblar - it basically helped to keep characters from being sniped out of units. I magnetized gnoblars onto all the standards to represent this option when it was taken. 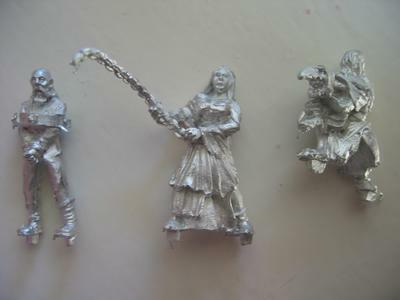 In addition, characters each had gnoblar options as well - so these were also magnetized. 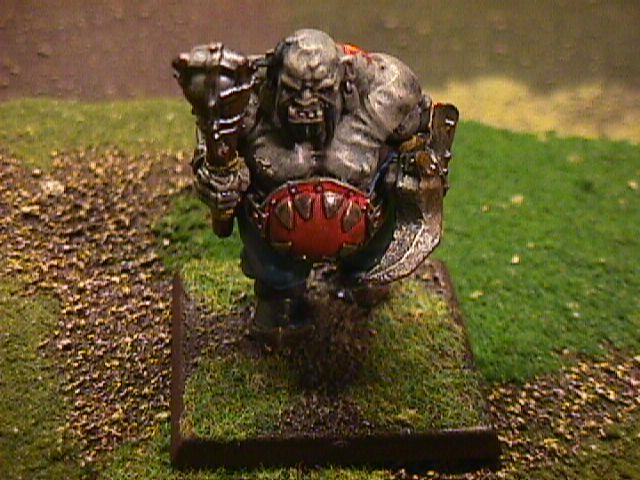 I even then added a magnetic gnoblar to the base of each unit champion to designate it. 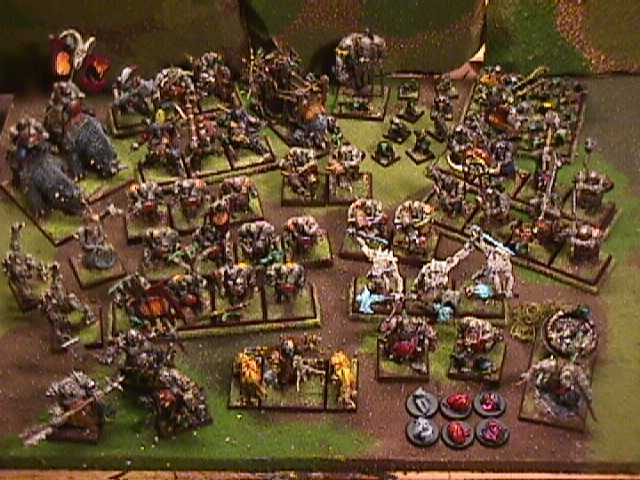 In the end I had 22 different magnetized optional gnoblars. 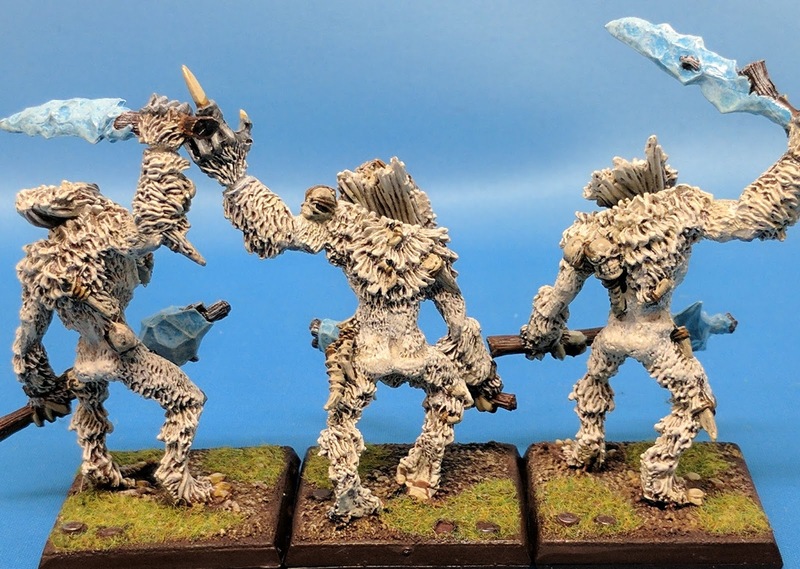 One of my favorites was the Yhetti champion - I added a heavy fur coat to him to fit the ice dwelling monsters. 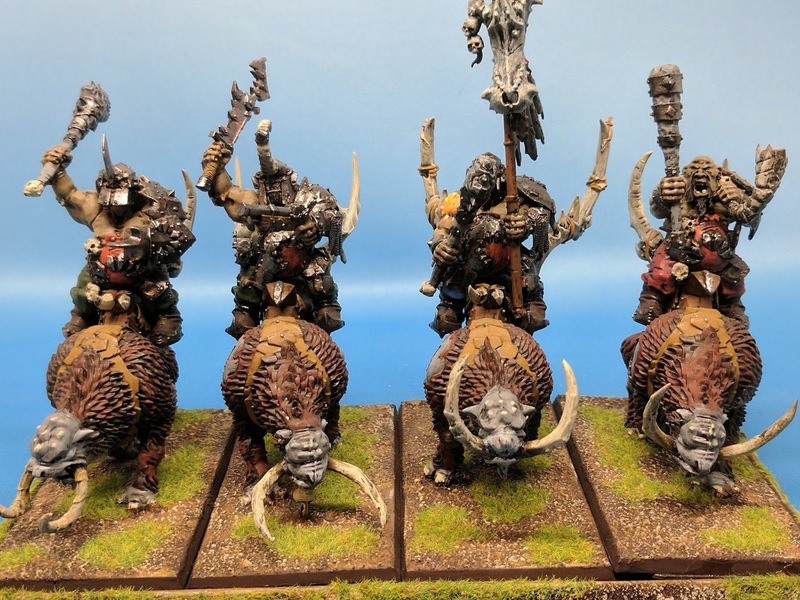 Anyway - the rest of the standard bulls. 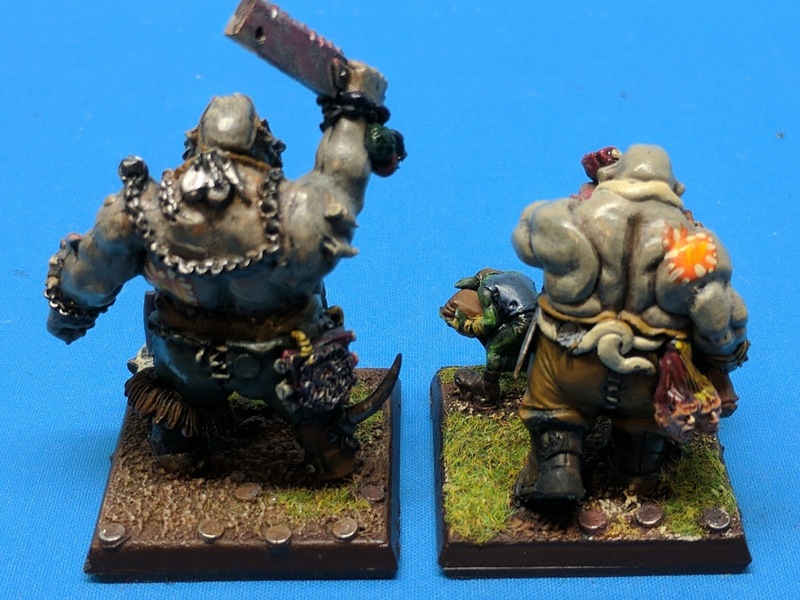 The other core group was the IronGuts - these had more armor and two handed weapons (so were stronger). When I first got started, I didn't have enough models so I magnetized the standard bearer - allowing it to be switched from a standard to a normal iron gut. 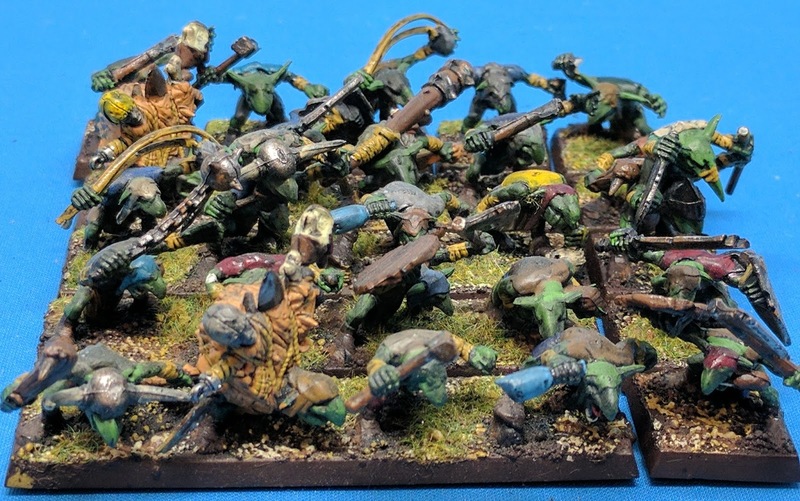 I eventually had eight of these - so two units of 4 with full command on each. 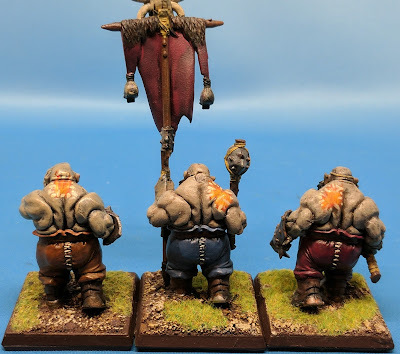 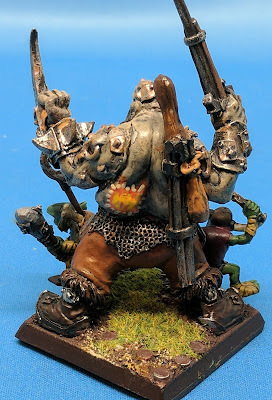 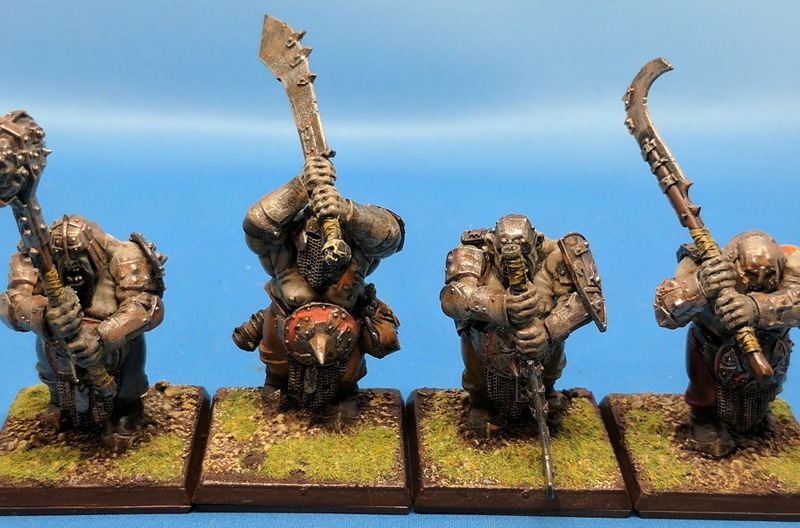 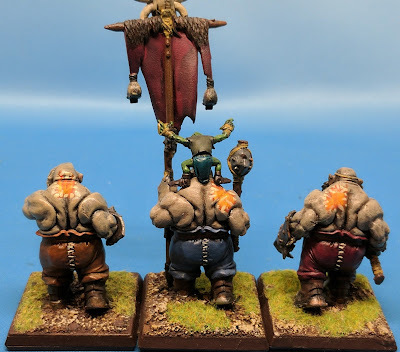 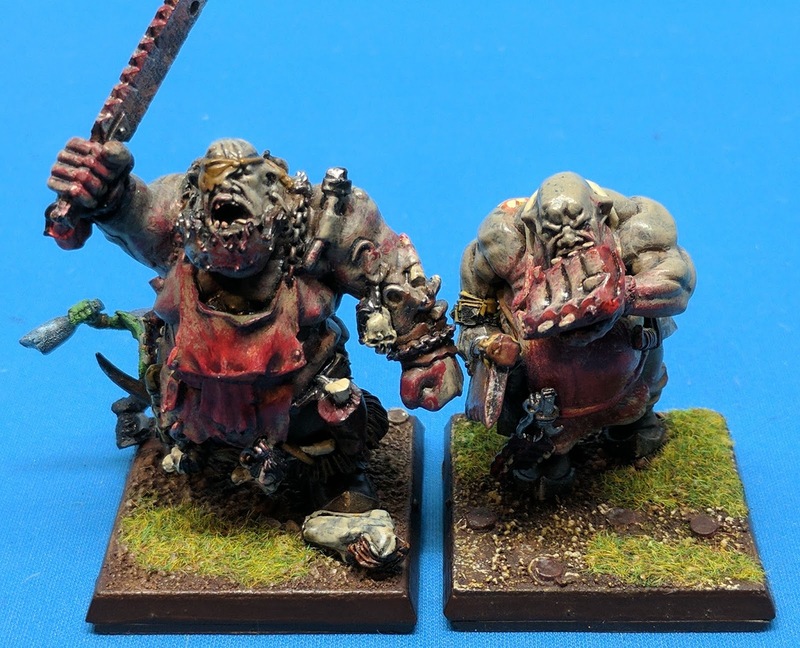 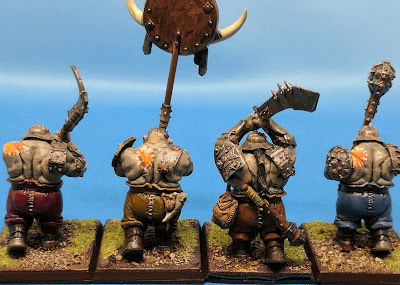 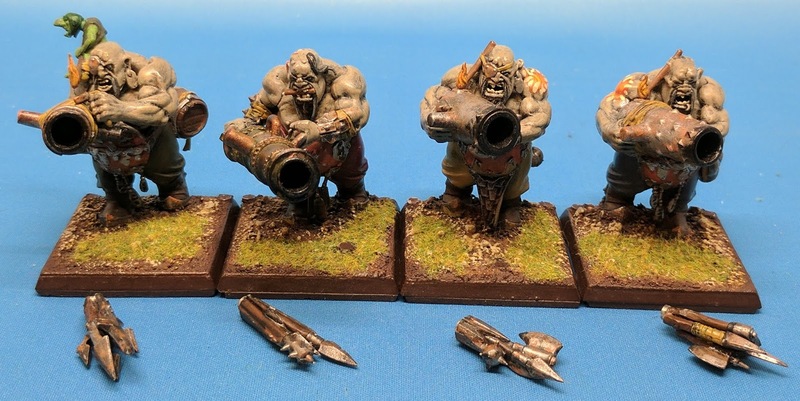 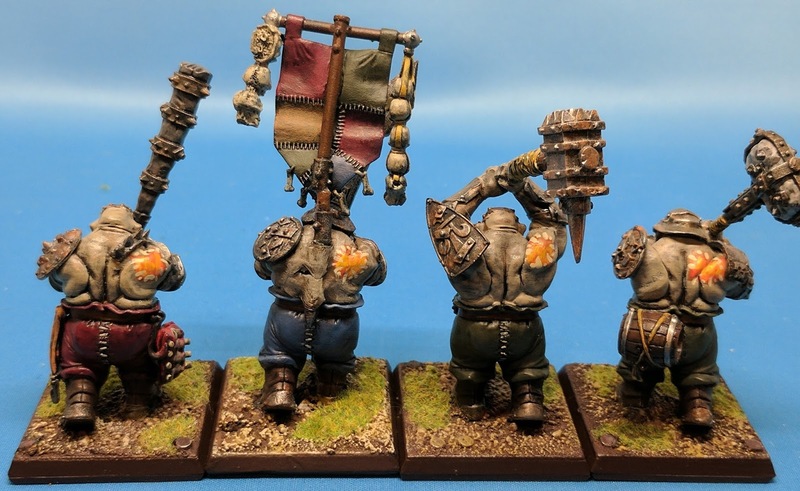 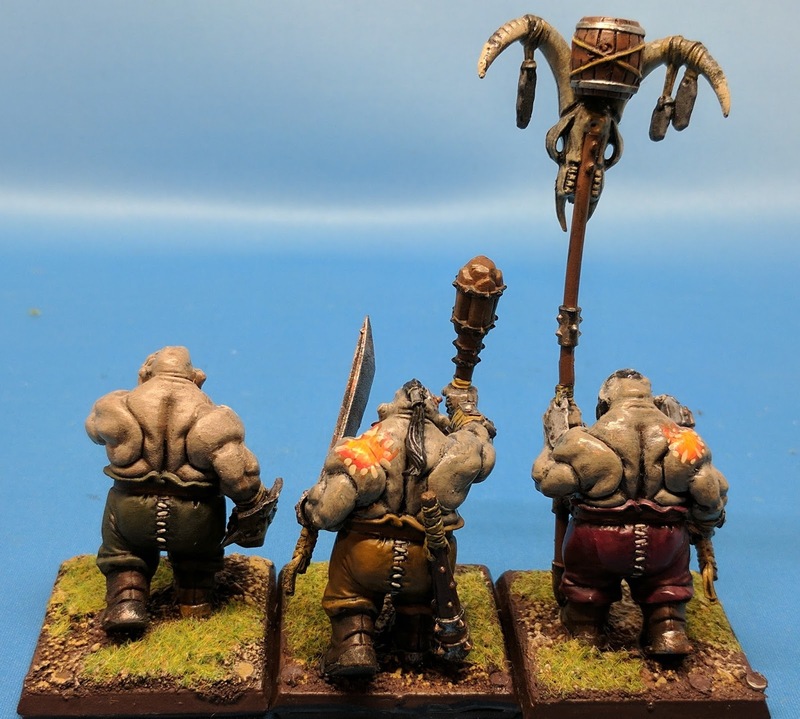 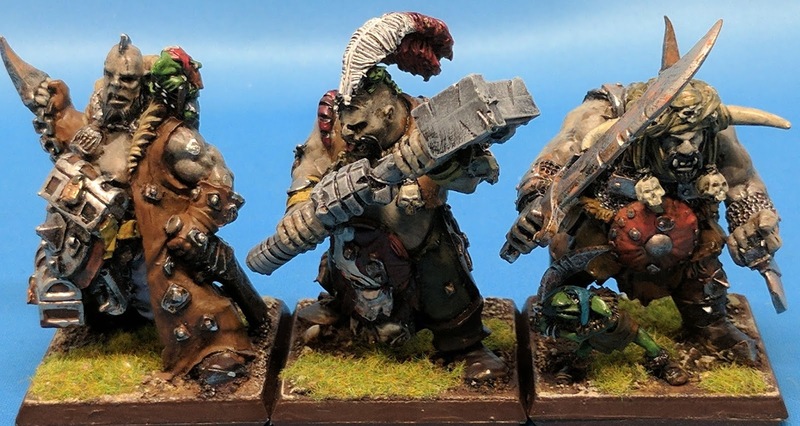 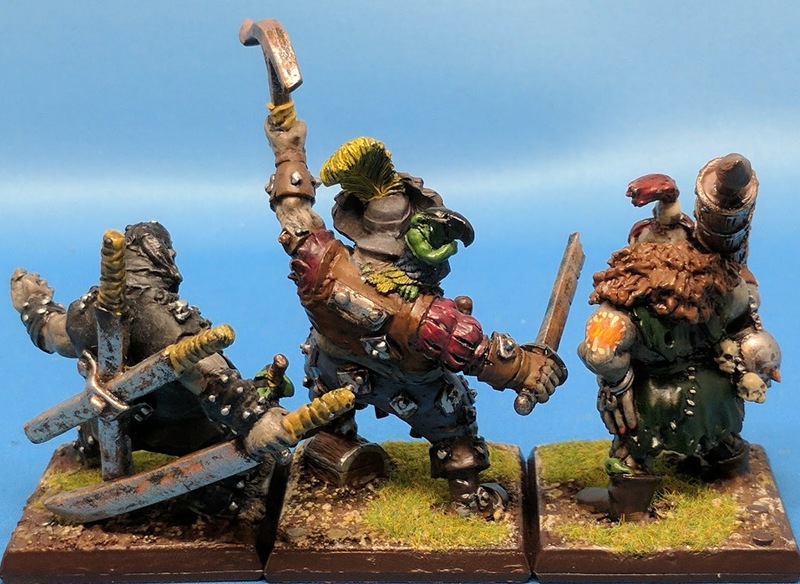 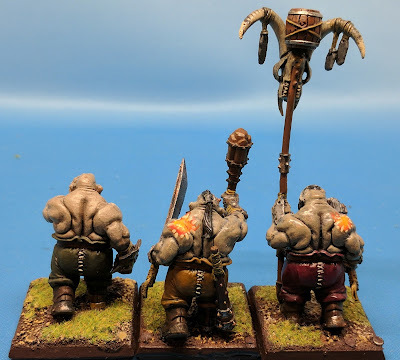 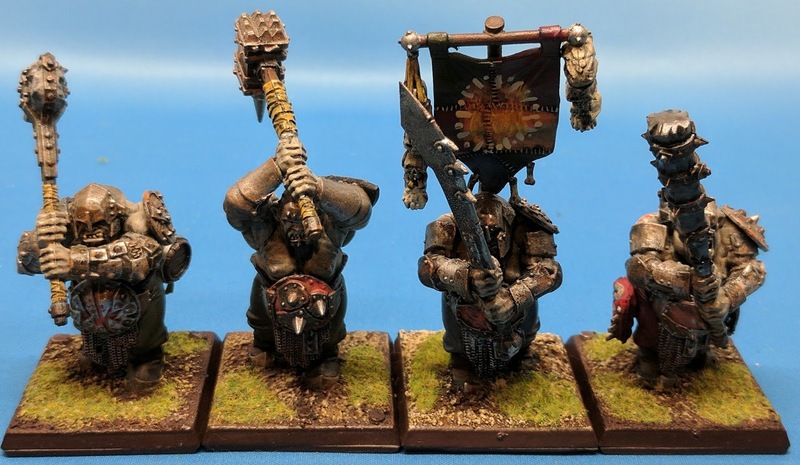 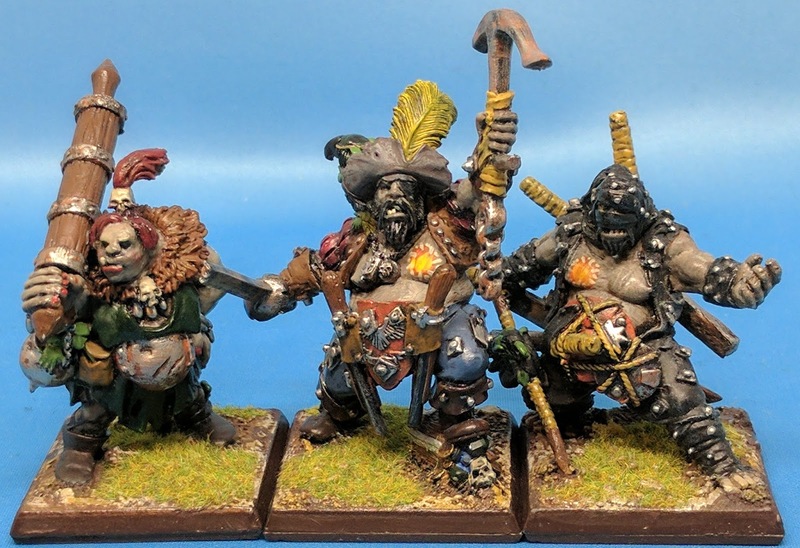 Leadbelchers were the shooting unit for the Ogre Kingdoms - big ogres carrying scavenged cannons. 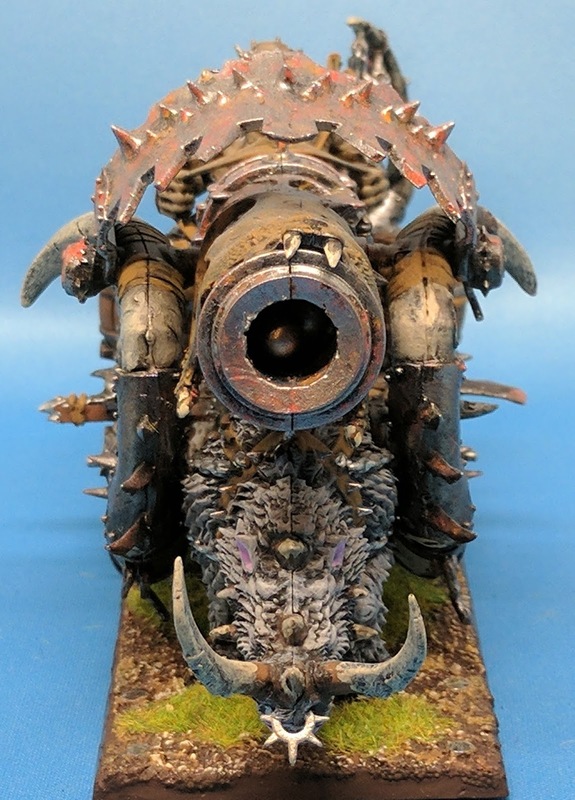 Their job wasn't to aim, but to fill the air with buckshot and battlefield debris. 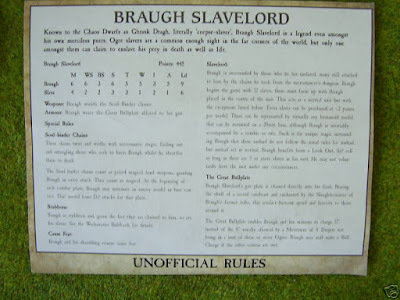 In their first rules, they had to spend a turn reloading after shooting, so you needed a way to indicate if they had fired or not. Magnets once again saved the day. 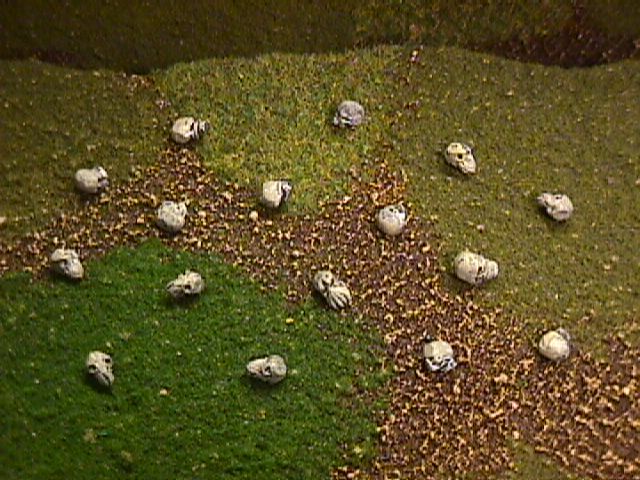 The plastic sprues had two sets of 'ammo' on them, and it was easy to make two more from extra weapon bits. 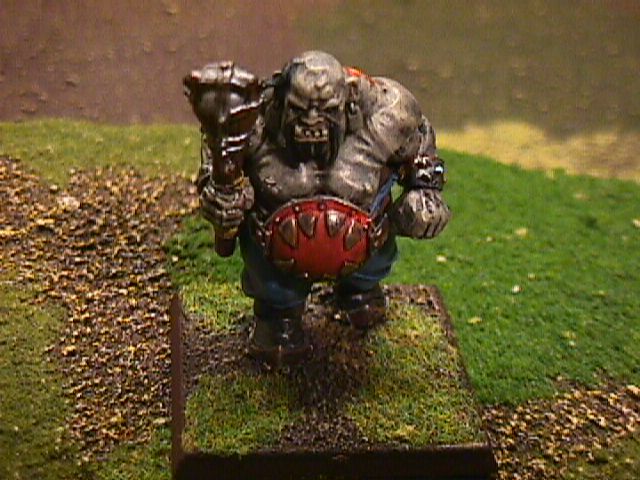 The final 'ogre' unit were the Maneaters. These were mercenaries who had traveled the world, and come back with the various costumes and implements of their travels. 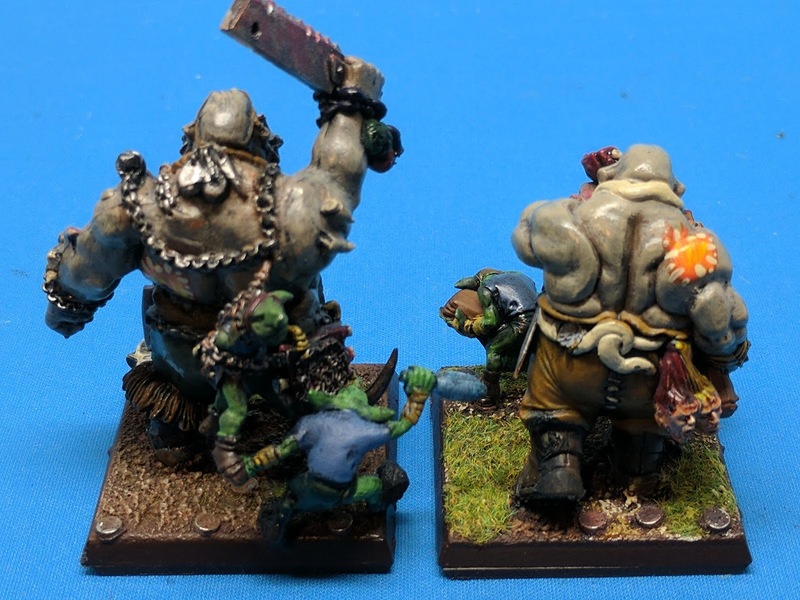 These were some fantastic sculpts. 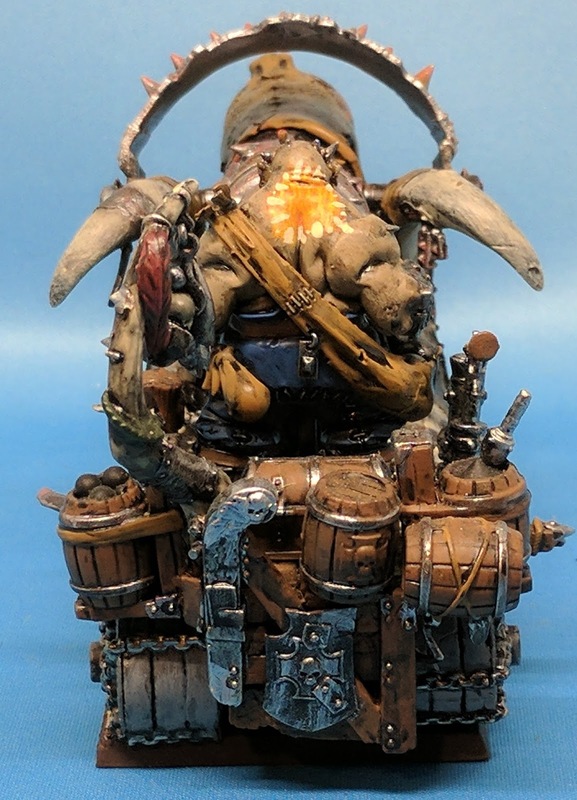 One thing I really liked was that each one had a gnoblar with it - some were obvious, and others were cleverly hidden (under the feather for the 'Empire', in the purse of the female, dressed as a parrot for the Pirate). 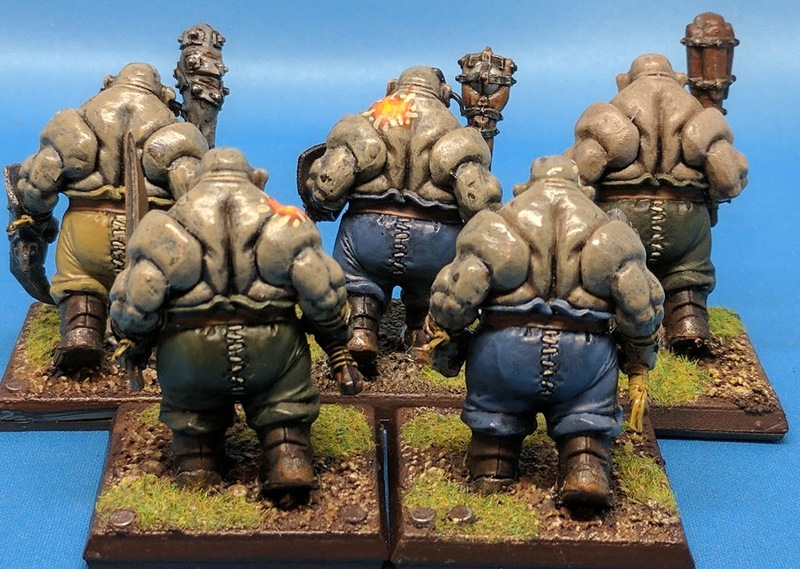 The Yhettees were cousins to the ogres from the icy mountain tops. 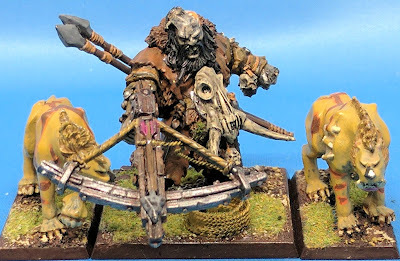 The army box came with three, so I used them for a while. 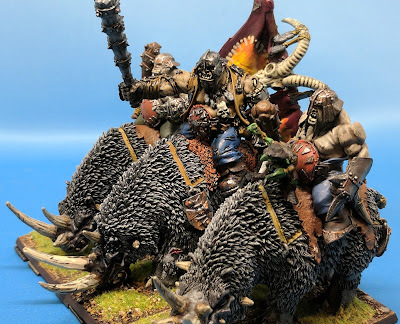 These were originally meant to act as cavalry for the army (since they were faster), but eventually GW added real cavalry. There was a bit of controversy with these, as two of the three models had 2 hand weapons - did they get an extra attack or not (no, the number of attacks was set in the profile. 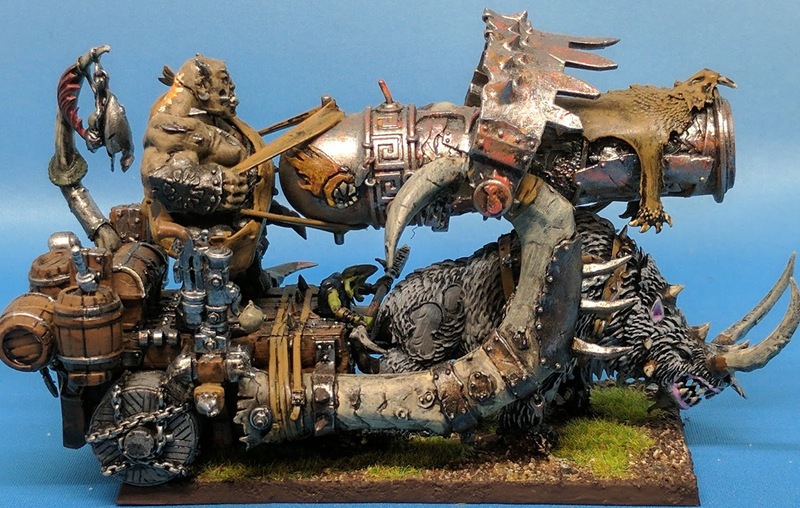 But when you try to go WYSIWYG you can see the problem)). Speaking of gnoblars, there were two different units you could take. 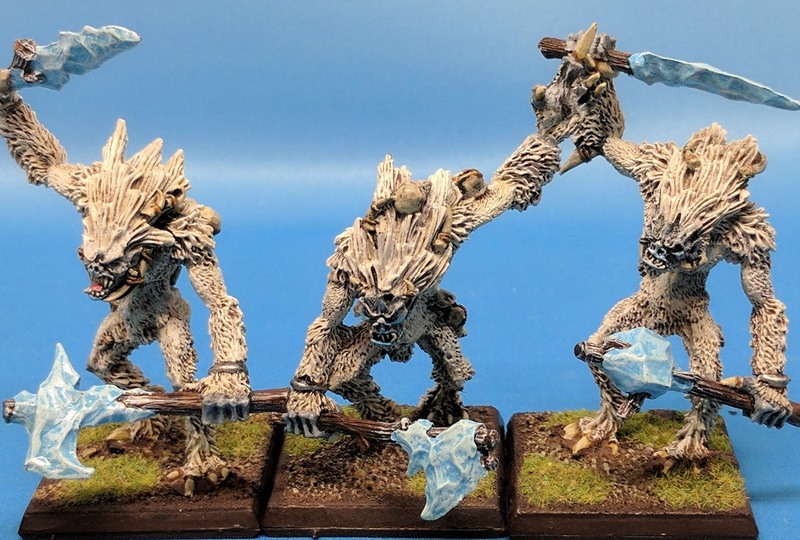 Normal gnoblars were intended to add ranks to combat (though they were more of a liability in combat than an asset), and trappers were skirmishers with throwing weapons. 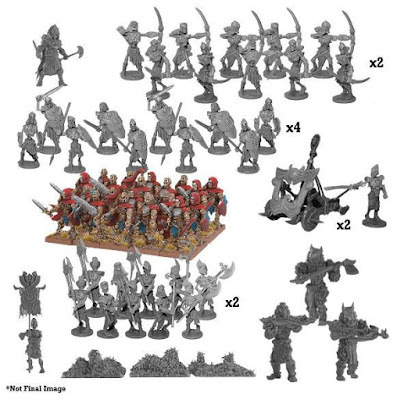 At one point GW put out an unofficial Gnoblar army list in White Dwarf. 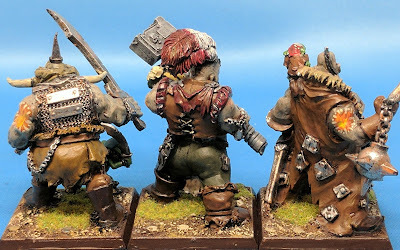 Each of the various sculpts became units. 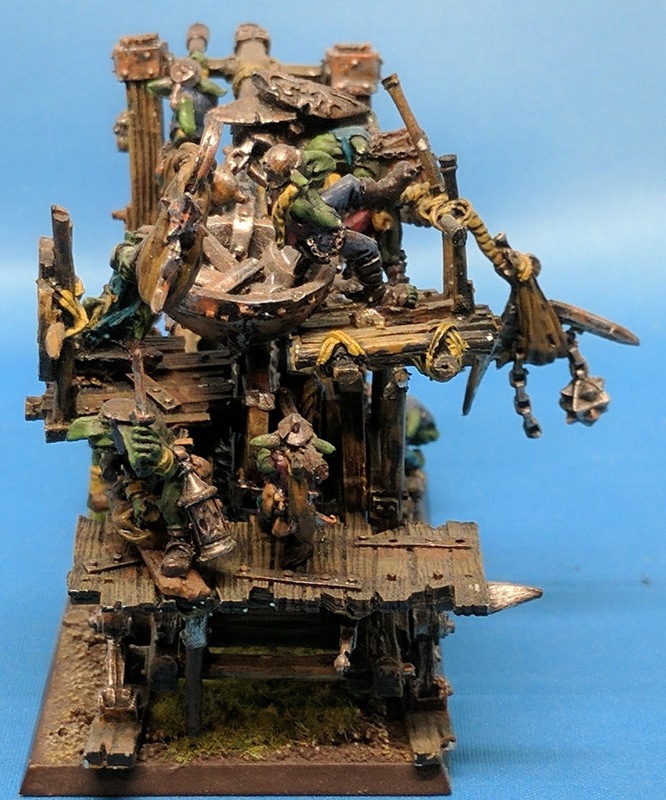 Super crappy, super cheap, and they never panicked when a unit ran (they just thought it was funny). The amount of models needed for an unofficial list however meant it never got used. 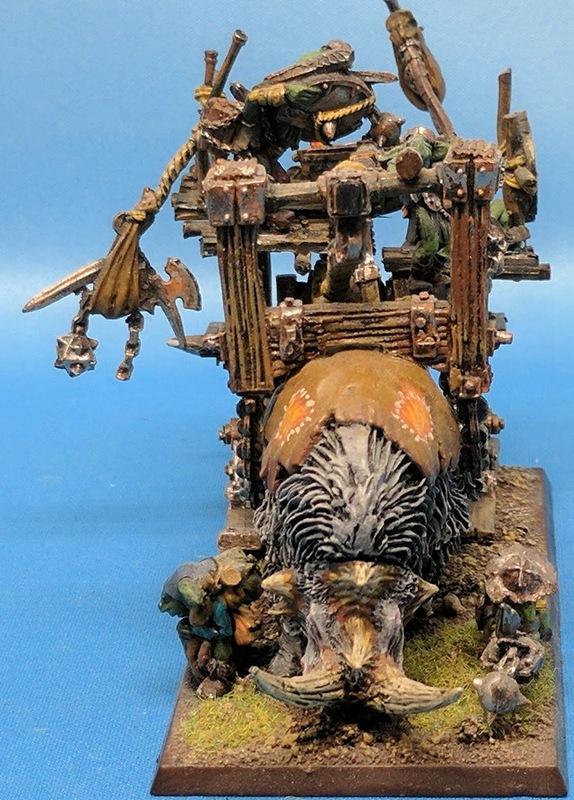 The gnoblars did have scrap launcher - effectively a chariot with a catapult that threw trash. 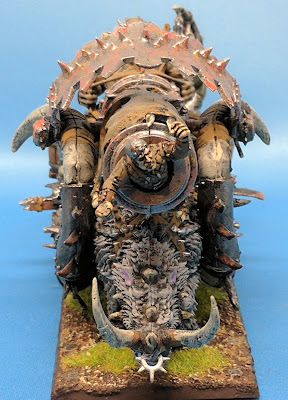 A nice model - though it was all metal and very heavy. 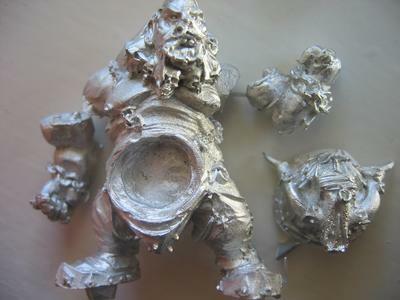 GW would later redo it in plastic (as a variant for the iron blaster kit). Gorgers were monsters - ogres abandoned at birth that somehow managed to survive on the outskirts of the ogre settlements. I actually tried making my own (in the middle - I named him runt) - it didn't go well. 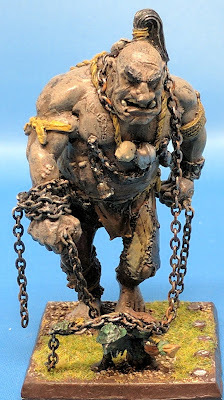 Ogres also had slave giants - whom they had captured and subjugated. 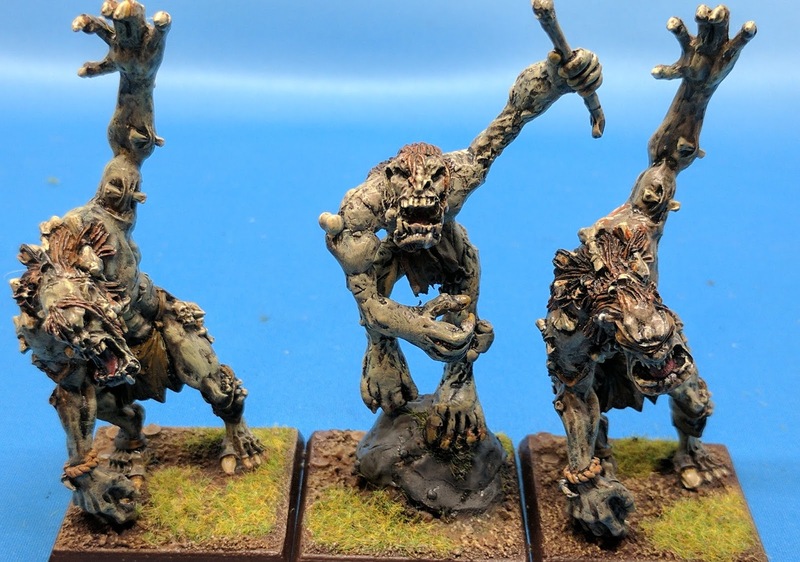 These huge beaten monsters were still scary to infantry - but no longer were the monster killers that 'normal' ones were (and also were no longer stubborn, so easily ran from combat). 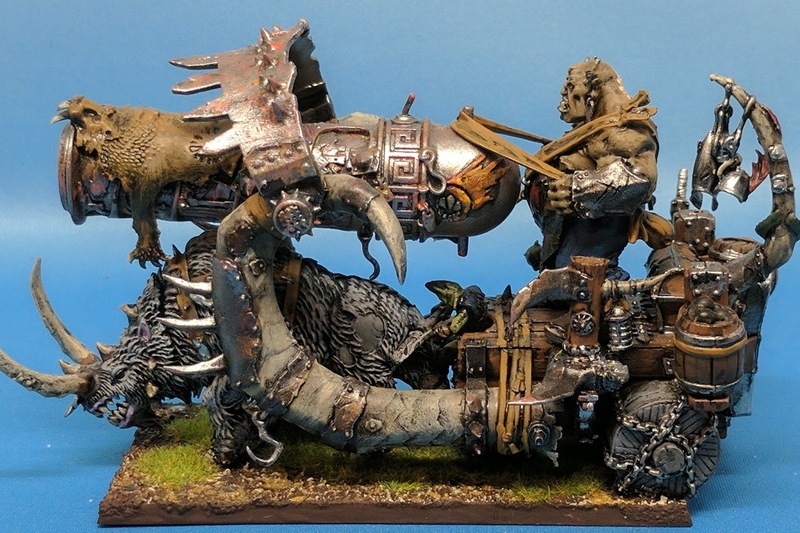 To show this, I used the old giant and added a gnoblar 'handler'. While in general a fairly fast army (Ogres were speed 6, Yhettees speed 7) they needed a cavalry option. 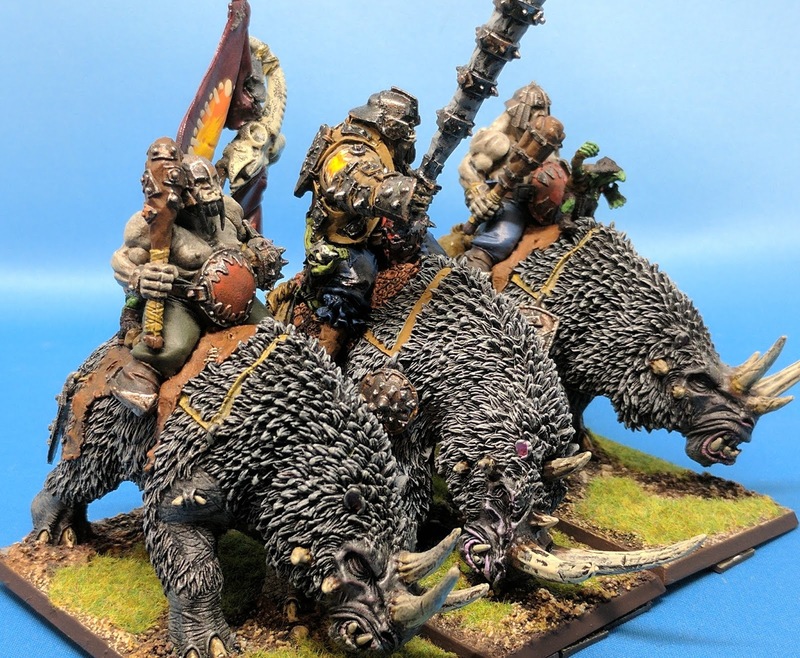 The first was provided by Forge World - with what is the heaviest cavalry in the game - resin Rhinox Riders. 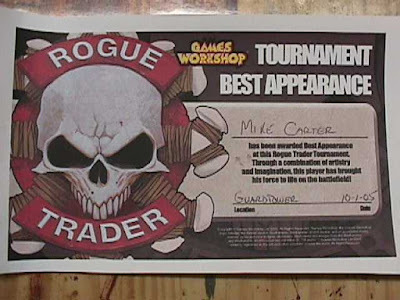 Never 'official', some tournaments (such as Buckeye Battles) allowed them (though taking them put me in tier 1 - I think that is the year I went 0-5-1). My kids actually got them for me for Christmas, as they were a bit on the pricey side. 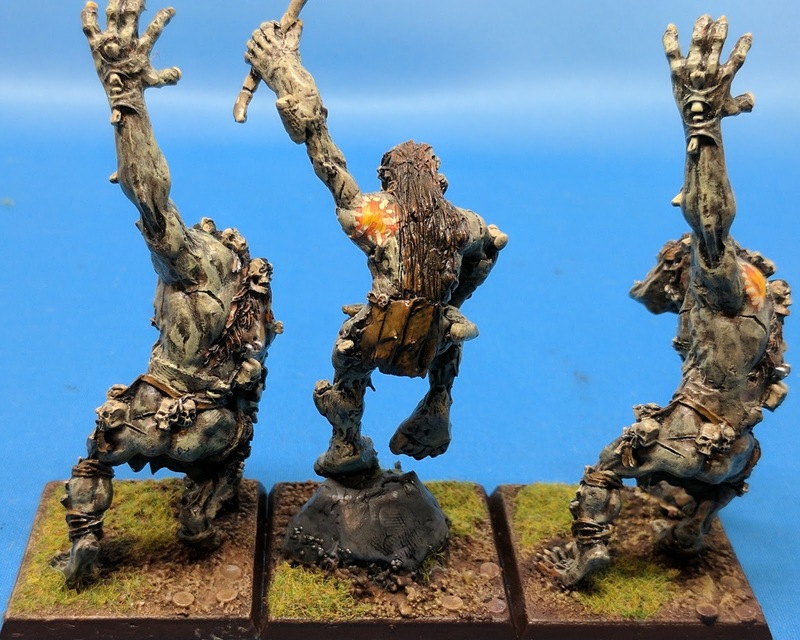 The two 'normal' ones used Ogres heads and arms, while the champion was a single piece. Again I magnetized the standard and musician (with a gnoblar holding the standard, and a gnoblar yelling for the musician). I also magnetized the arms, so they could take all the options. 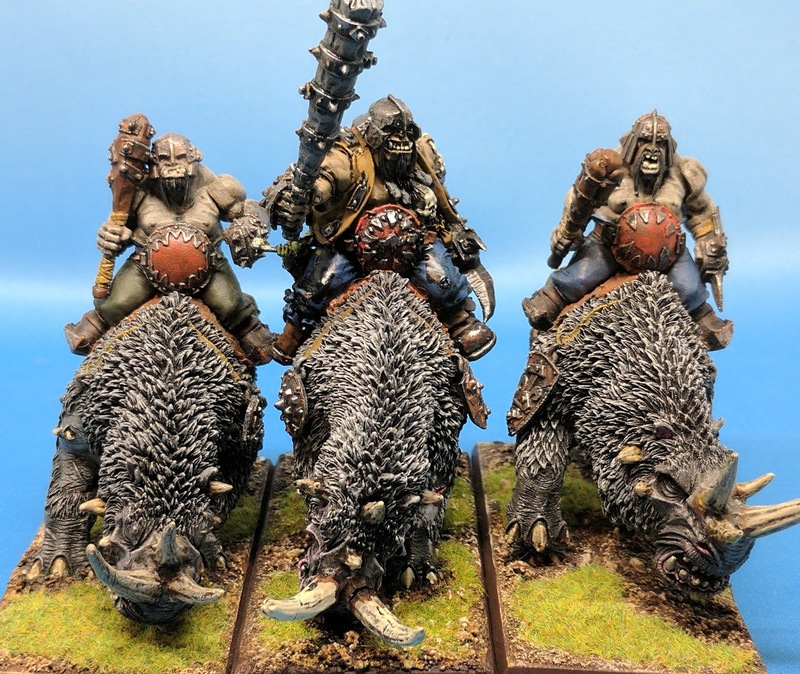 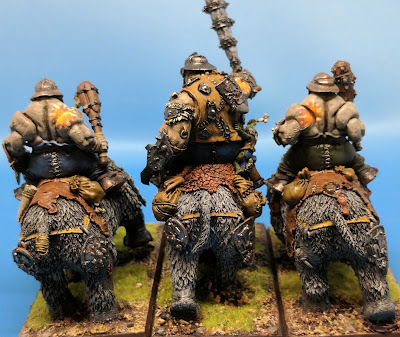 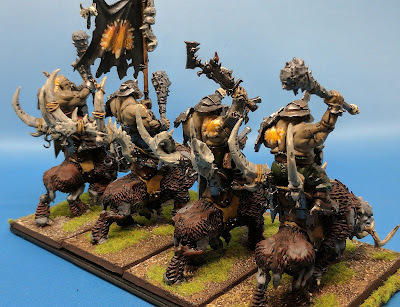 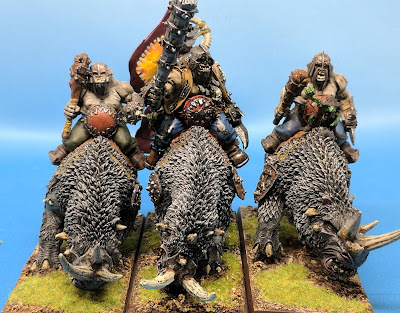 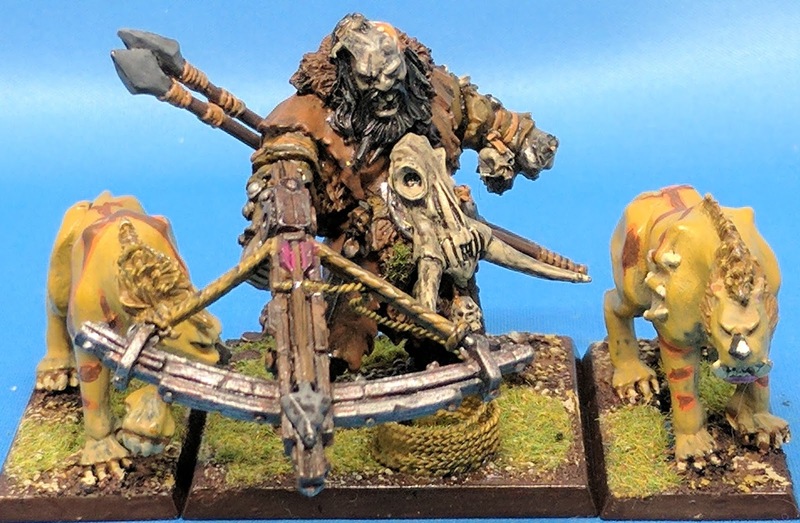 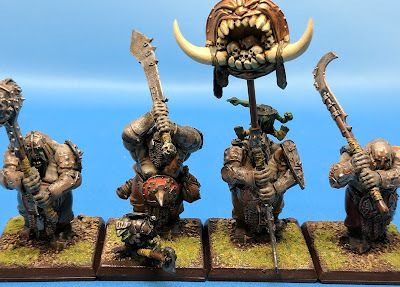 When Ogres were updated for 8th edition, they got proper plastic cavalry - Mournefang Riders. The Rhinox riders could be used as mournfanges now. 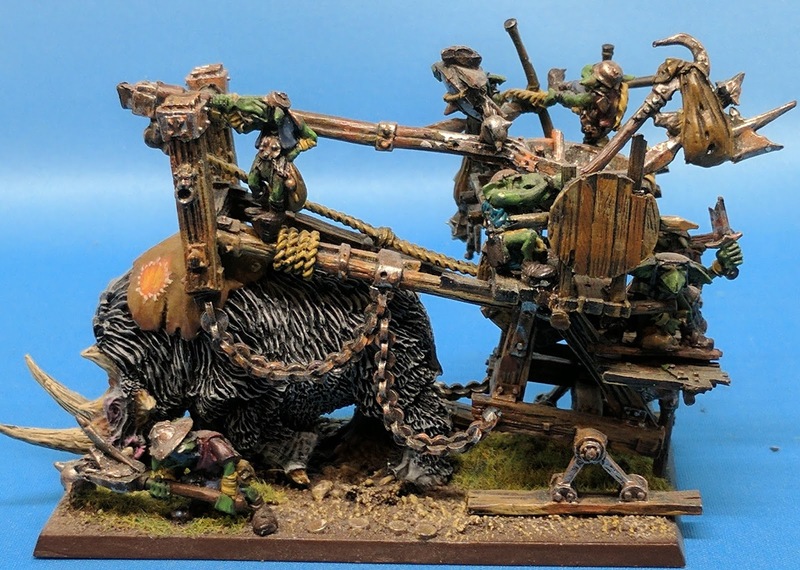 They also added the Iron Blaster - a huge cannon strapped to the back of a rhinox. 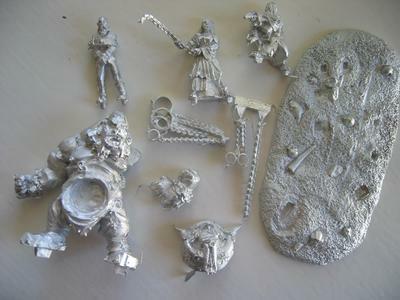 While I never did, this plastic kit could also make the new scrap launcher as well. Iron Blasters were awesome cannons that could move and shoot, and even fight if they had to. 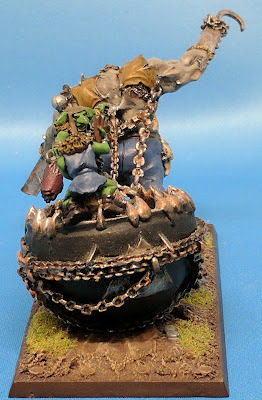 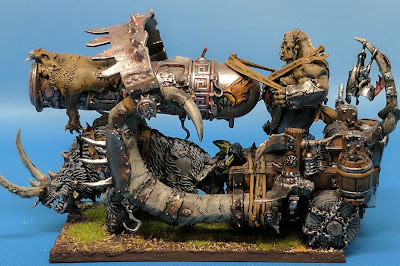 Eventually a friend and I used Ogres and Chaos Warriors in the WFB Team tournament (as the Carnival of Chaos) - at that time I added a 'human cannonball' that would fit into the barrel of the cannon. The original limited edition army box came with the first character - a LE Tyrant. 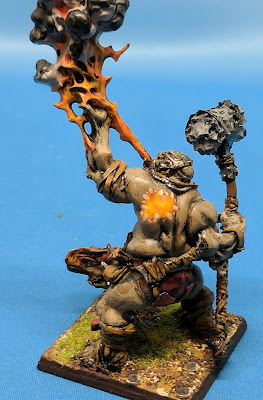 I really liked this model, even though since he wasn't modeled with a great weapon (and at the time all Ogre magic weapons were great weapons) he had no magic weapon. Of course I added magnetic gnoblars for all the options he could take. Ogres did not have normal wizards at first, instead they had butchers who would cast spells by eating the required components. 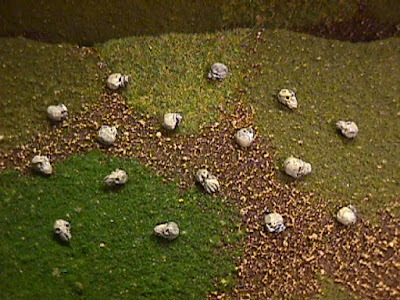 These worked differently than any other spells, so needed counters to mark when a unit had a specific spell cast on it. 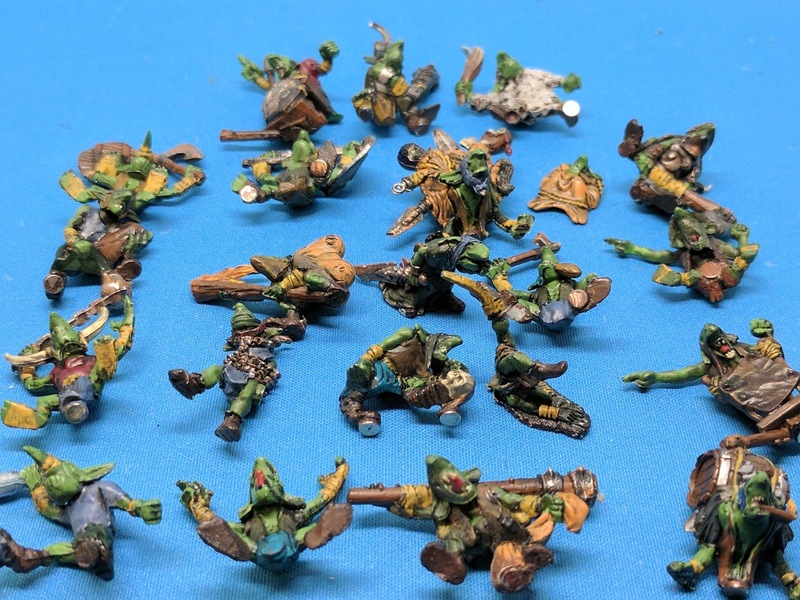 Of course when they revised them their magic became 'normal' and these were no longer needed. 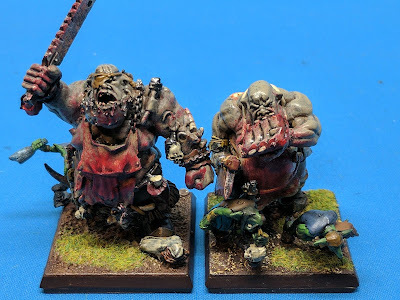 I converted my first butcher from a bull, then eventually got the 'normal' one, once it was released. 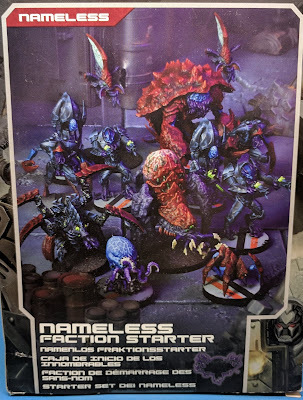 One of the other characters was a hunter. 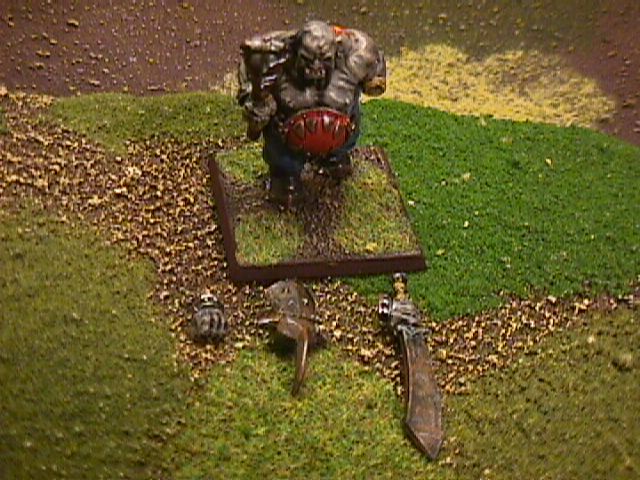 He could not join units, but could be joined by his Sabre Tusks (so he ended up on a 50mm base instead of 40mm). 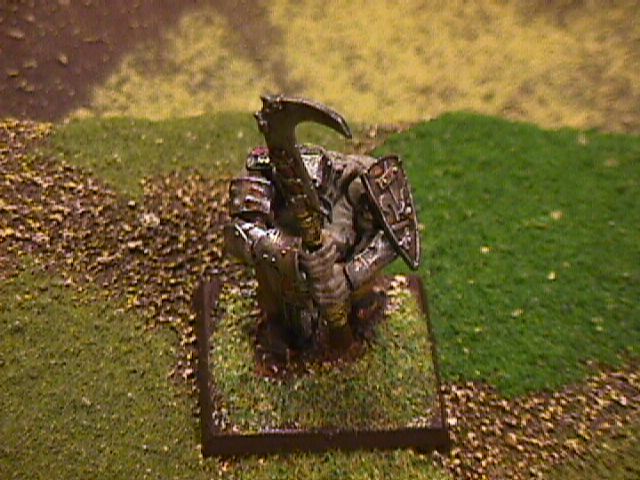 The original metal model was holding a club. 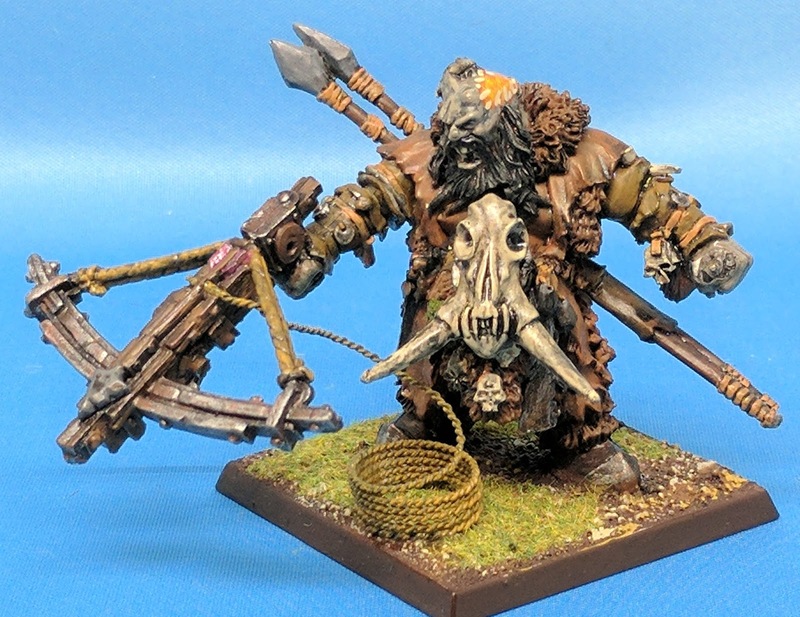 However he has a crossbow - so I converted one from an old confrontation miniature. 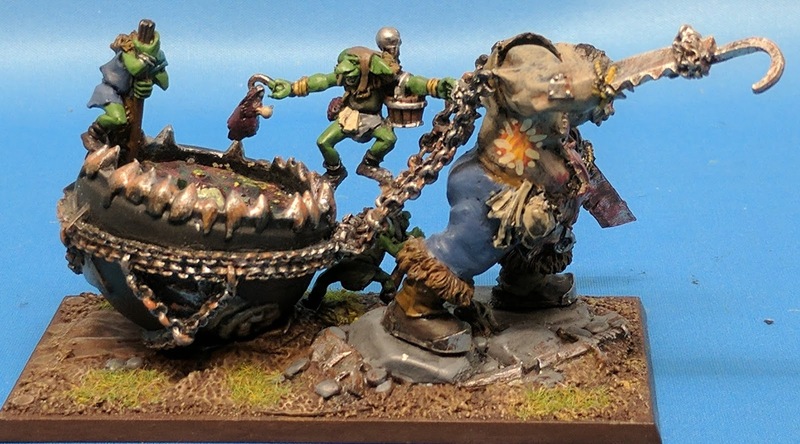 The rope is pipe cleaner (I talked about making it here). 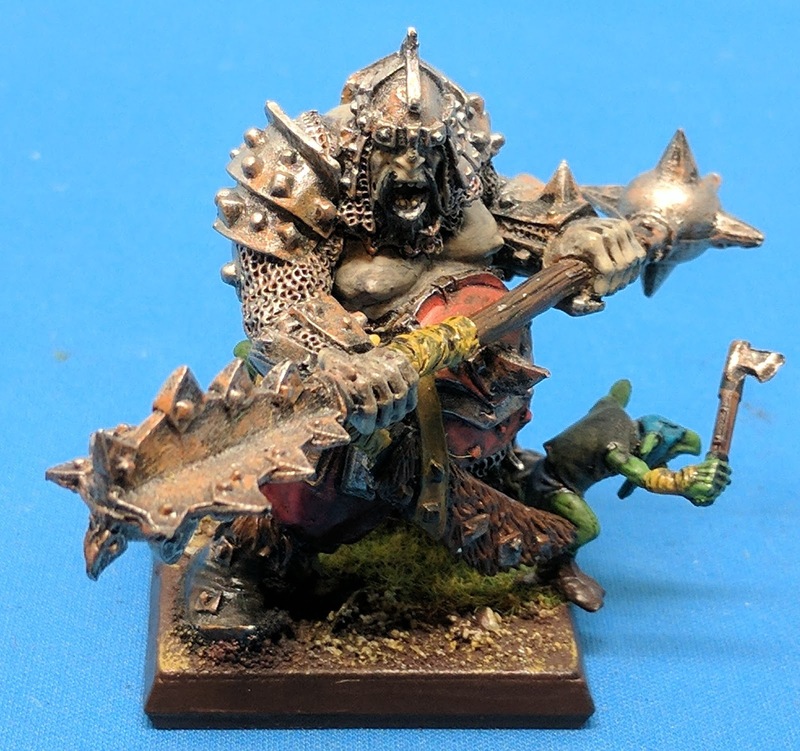 GW finally released a metal tyrant - who finally had a great weapon (so could use a magic weapon!). 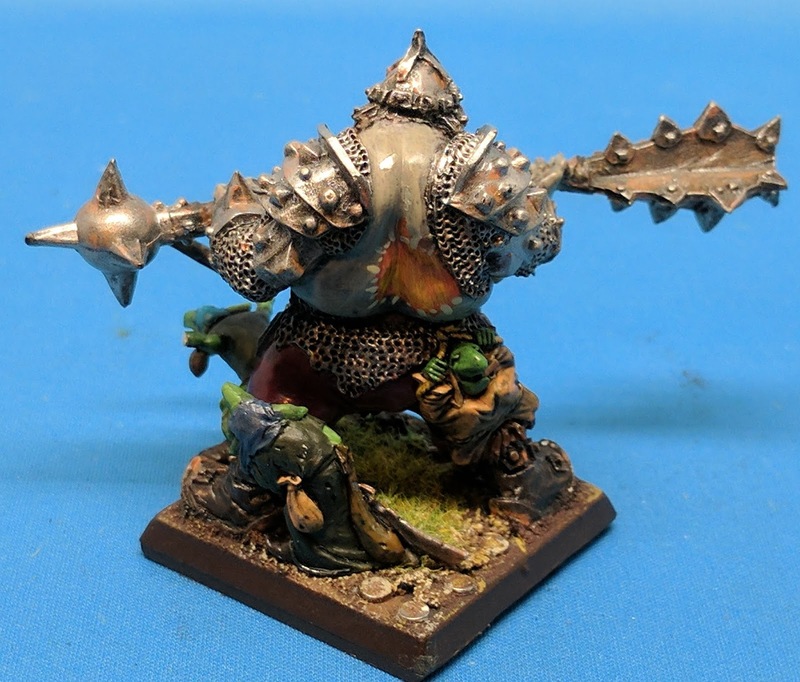 Of course he had magnetized gnoblars as well! 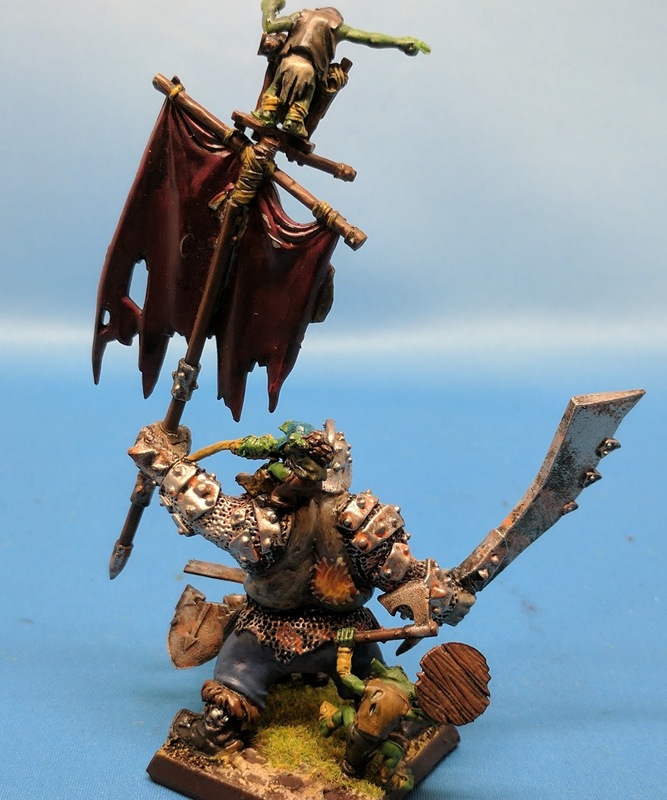 Of course you always needed a battle standard bearer, which was an option from the tyrant kit. 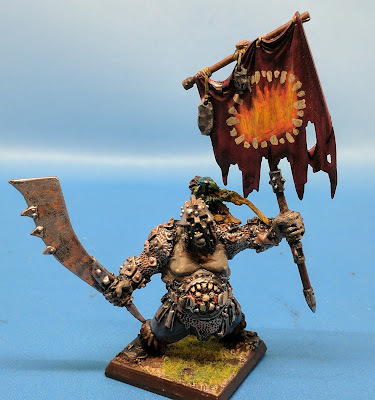 I went a step further, and magnetized the banner (so I could take him as a regular hero instead). 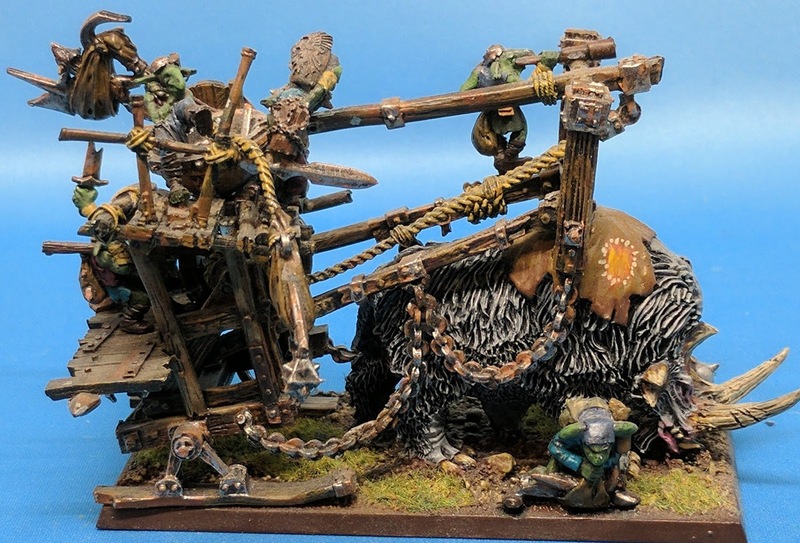 This required some pins to keep it straight, as the banner was heavy and would turn around the axis of the magnets. 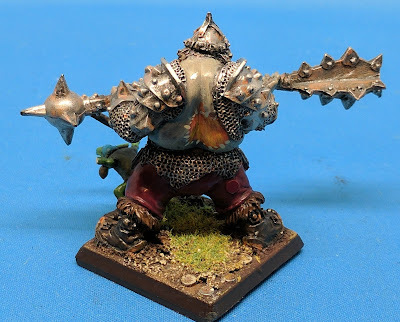 I also didn't like the huge horns on the gut plate, so I cut them off. In eighth edition, they added the fire belly to the army, a fire based wizard. 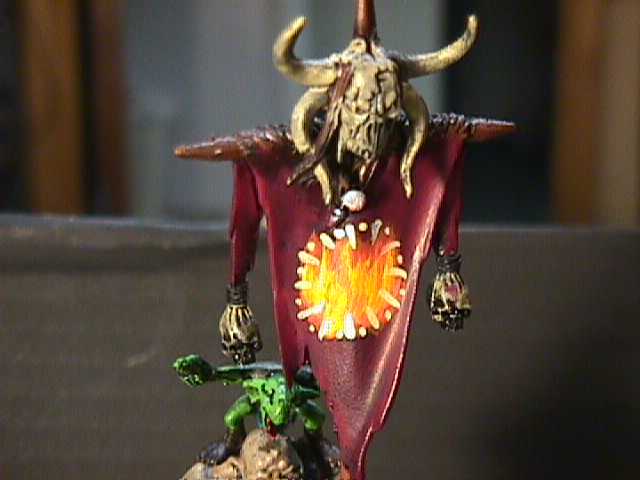 The model literally was breathing fire. It was like they made this model just for my army - it fit in so well. 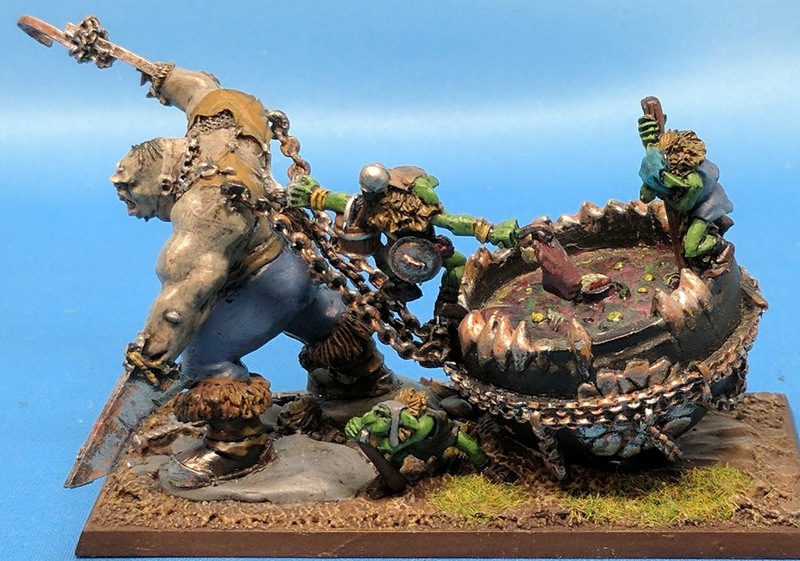 It must be mine! 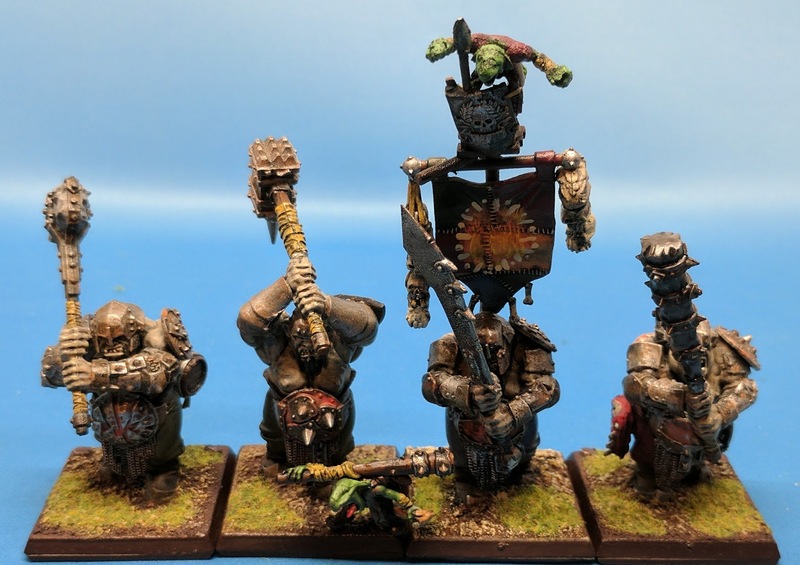 Finally, no army was ever done without special characters, and the Ogres had two. 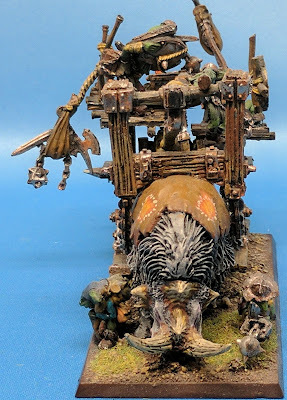 Greasus Goldtooth was carried on a palanquin by dozens of gnoblars - I eventually got this model but have never put it together. 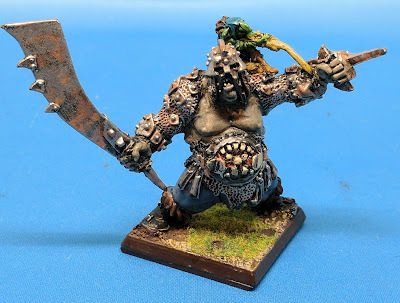 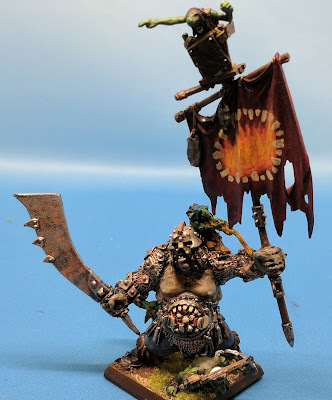 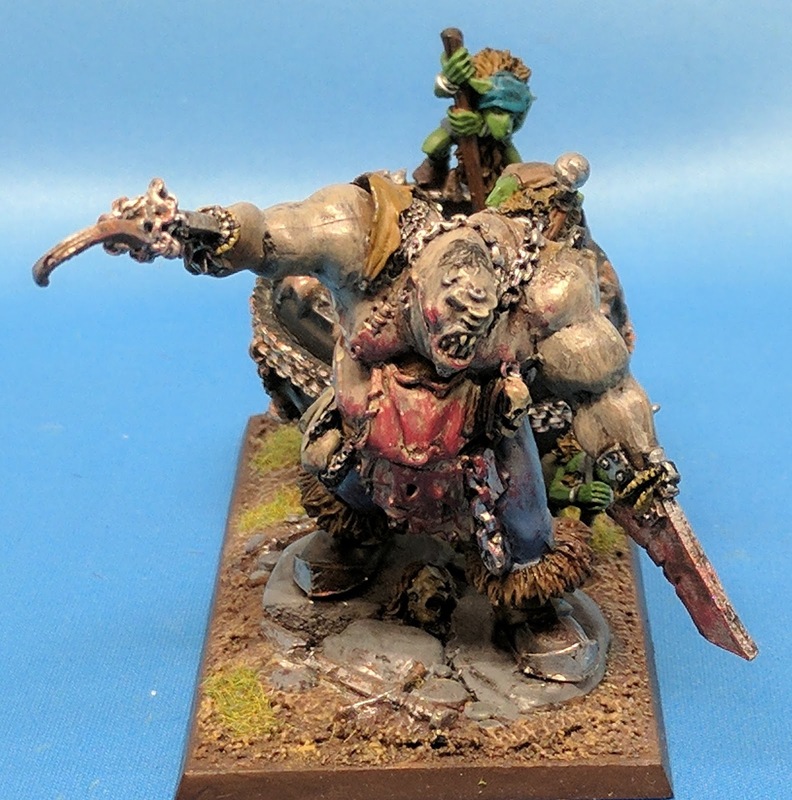 Scrag the Slaughterer on the other was a really cool model that I really wanted. With hooks for hands and pulling his cookpot behind him, he added abilities to the army based on the number of models he killed in combat. 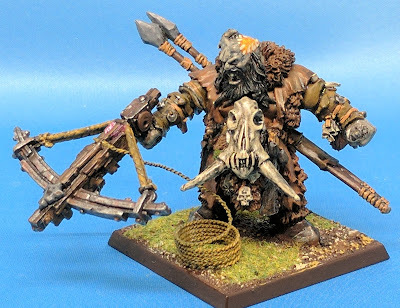 There was one model I was never able to get however. Braugh Slavelord was an extremely limited edition model, given out to GW store managers for Christmas the year the army came out. 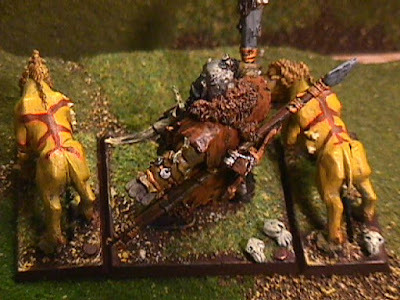 He pulled his retinue of undead slaves behind him, and when he killed a model, it was added to his slaves. 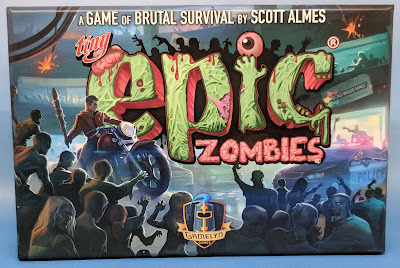 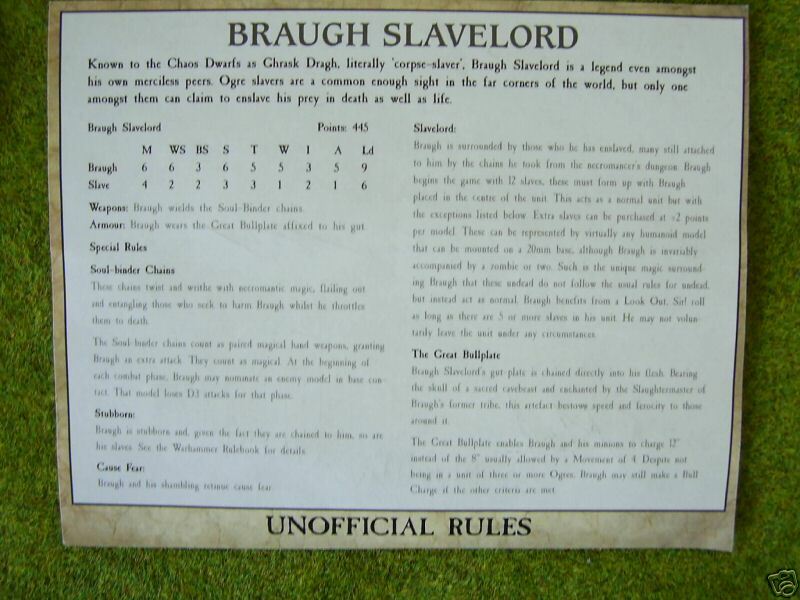 I have gotten some pictures of the components and rules, but never actually seen one in person. 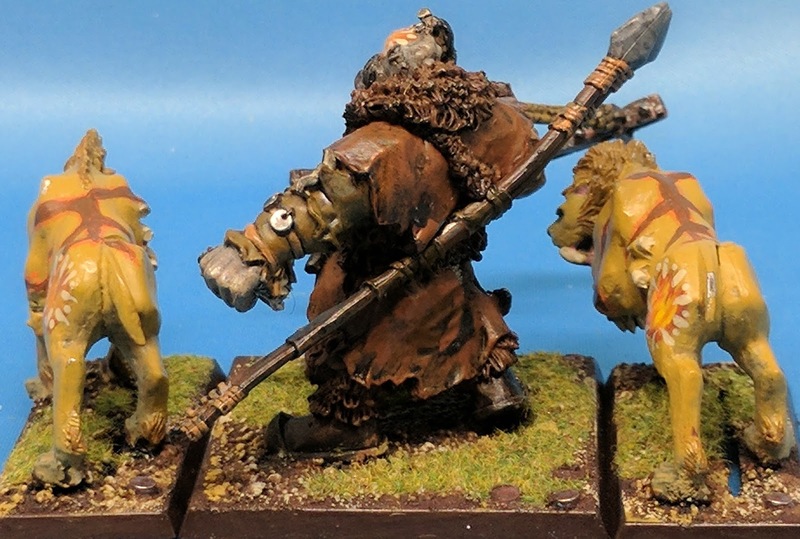 (I checked ebay this morning - and there is one out there for $150 and another painted one for $600). 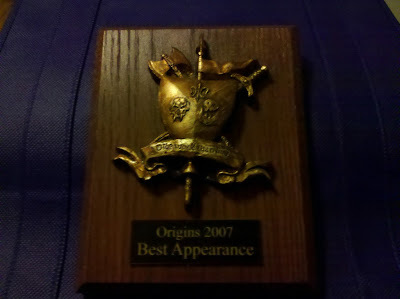 Even though not strongly themed like I generally preferred to do, the army did go on to win a couple of awards. 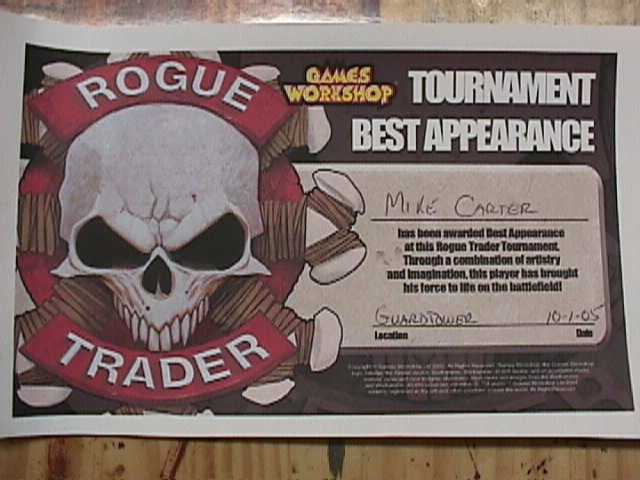 Back when the Seige at the Tower was still a one day event a the Guard Tower in Columbus (January, 2005) it won Best Appearance. 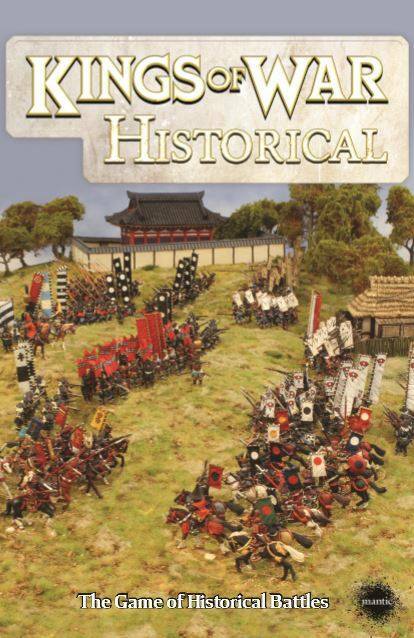 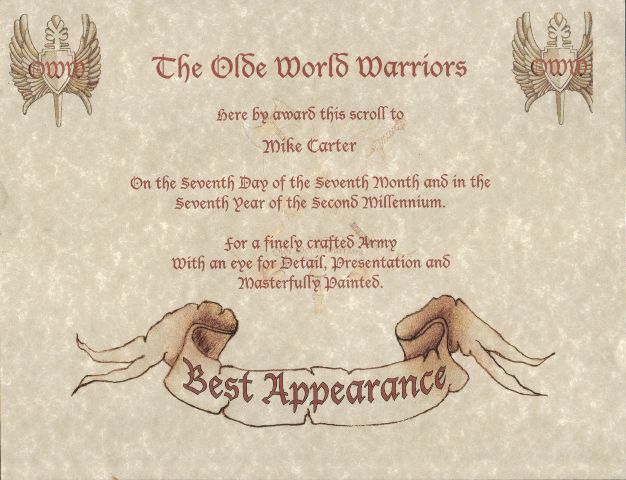 It then won Best Appearance at the Old World Warriors tournament at Origins 2007. A shot of the whole army. I did make a sample army list for Kings of War from this army (you can see that here ), but tend to prefer to use Mantic models for Mantic games. 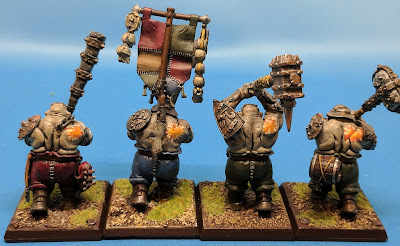 As such the Fire Eaters are resting (in their old pluck foam) from their last feast for now.